Did you know that 58 percent of job seekers use Twitter in their job search, and that, 76 percent look at company profiles for opportunities. 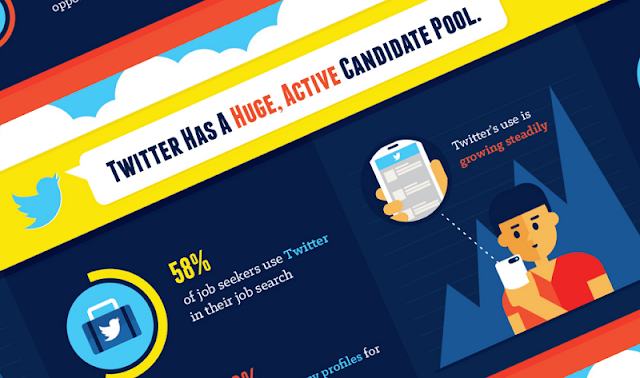 Twitter is a powerful tool recruiters use to fill open positions. With It, recruiters can network and grow their candidate pool without breaking the bank. And this infographic shows, how.